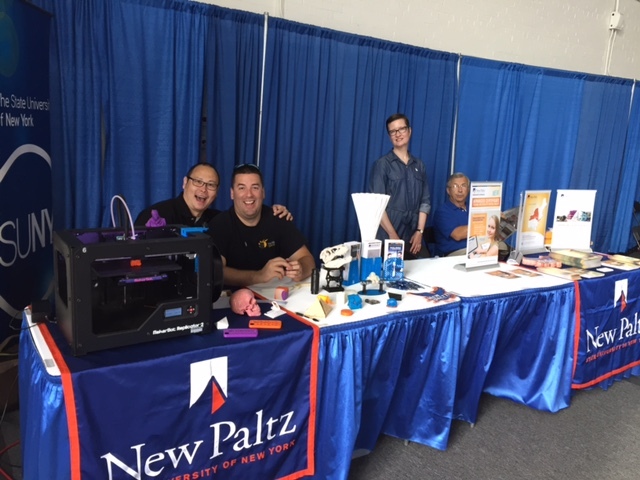 Representatives of SUNY New Paltz returned to Syracuse, N.Y. on Sunday, Aug. 30 to take part in the State University of New York’s fifth trip to the Great New York State Fair. 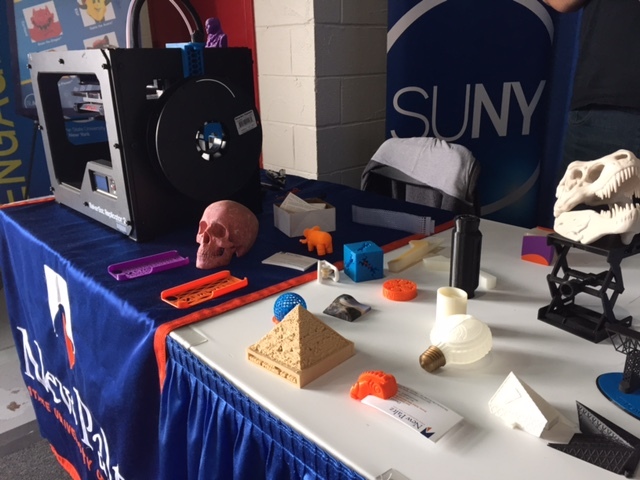 New Paltz faculty and staff were on hand in the Science and Industry Building, meeting with visitors of all ages, providing information about academic opportunities at the College, including the new Advanced Certificate in Trauma and Disaster Mental Health and the 3D printing initiative. The informative session also included admissions counseling for prospective students and their parents with questions about the campus and the enrollment process. For visitors still a few years away from being eligible for enrollment, however, the demonstrations of the MakerBot desktop 3D printer, presented by Katherine Wilson of the Hudson Valley Advanced Manufacturing Center and Aaron Nelson of the MakerBot Innovation Center, were the main attraction. “The younger kids (and their parents) were fascinated by watching the 3D printer in action and examining the sample items the team brought along,” Vermeulen said. More information about SUNY showcases at the Great New York State Fair can be found online.